In 2008, I was hopelessly stuck on a novel I’d been writing for about half a decade. That novel would later emerge as Luckbane, the first book of the Impworld/Otherworld series. As many of you know, I decided to put the book on hold for a bit. My progress had been painfully slow, bogged down by extensive worldbuilding and a lack of a consistent writing schedule more than anything else. I figured taking a break from it might help me sort out the mess I’d made of my WIP and that maybe the National Novel Writing Month (Nanowrimo) challenge would give me the tools I needed to write faster. The idea was to write a 50,000 word novel in 30 days. 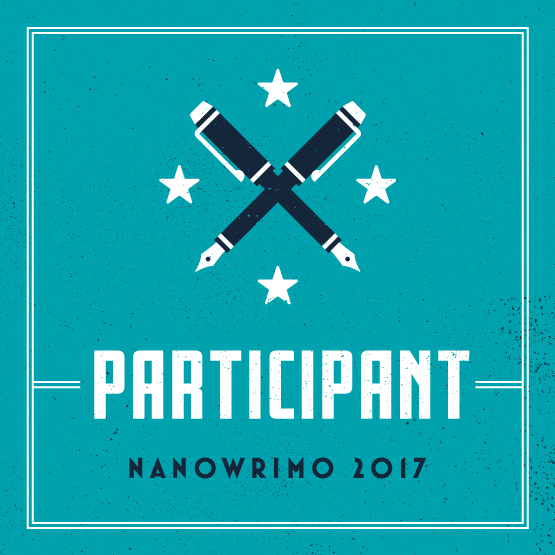 I finished the 2008 Nanowrimo Challenge well ahead of the required 50,000 word count. Even so, it took me 4 years to sort out that rough draft of Johnny Came Home into something I could stand to read. There were major plot holes, poor character development and, well, I didn’t like the ending. I’d basically slapped on the ending to finish by November 30th, as expected. So there were some real problems with the Nanowrimo draft. Which makes it fair to ask why I’m thinking about doing it again five years after the publication of Johnny Came Home. In the interest of full disclosure, the reason it took so long to develop that first draft into a finished novel is because I had no idea what I was doing. Even after I developed the story i to something I was proud of, there were still several major stylistic and grammatical revisions after a friend pointed me to Browne and King’s Self-Editing for Fiction Writers. Nanowrimo can allow you to amass a word salad but it takes skill to craft it into a novel. My question at this point is whether the experience will be different now that I’ve learned a thing or two about the craft. Another reason my Nanowrimo draft took several years to develop into something anyone would want to publish is that I didn’t give it my sole attention. Once Nanowrimo was over, I worked on Luckbane some more. The creative juices were flowing again. Nanowrimo had sparked enough jealousy in my muse to vie for my attention once more. In any case, I’ve decided to give Nanowrimo one more shot and, appropriately enough, my intent is to use it to create the next John Lazarus novel. All I have to decide is whether I’m writing Mann from Midwich or a different idea I’ve been playing around with in my head. We’ll see.